Many golfers play the game while their desires are disconnected from reality. They attempt a flop shot over a 30-foot bunker to a pin tucked 6 feet from their side of the green. They try to hit a 2-iron off hardpan. They whack with their 5-iron through a thick grove of pines, and are genuinely surprised when they have to duck the ricochet. If it weren’t for the fact that golfers have screwed up like this for as long as the game’s existence, I would blame the self-esteem movement. Self-esteem will not reduce a golfer’s handicap to single digits, and it’s not just a matter of learning how to swing the club. Golfers need to know how to score in a game that emphasizes its player’s mistakes. Raymond Floyd can help golfers learn how to make the best of their talents. He’s written The Elements of Scoring. with Jaime Diaz of Sports Illustrated (Simon & Schuster; $20 SRP). Readers of this great little book won’t learn how to swing. However, they will learn how to play. A typical delusion all players must recognize is that making one miraculous shot does not guarantee it can be repeated. Failing to remember this usually leads to high scores. Floyd’s book should be an effective antidote. Before he imparts his extensive tips on scoring, he first takes his readers through a reality check. 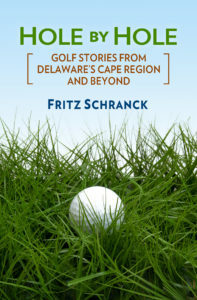 The first chapter brought a smile of self-recognition to some of the playing faults he outlined. Automatically shooting at the flag. Not playing away from trouble. Missing the green on the wrong side of the flag. Trying for too much out of trouble. Trying shots never attempted in practice. Misreading turf and lie conditions. Consistently misreading the break on the greens. Gently, but directly, Floyd talks about these common mistakes. He then uses the rest of his book to show how to avoid these round-killers and achieve lower scores. The next two chapters are the best: “Knowing Your Game” and “The Universals: What Every Scorer Does.” I don’t often find myself nodding in agreement while reading, but these two chapters caused that reaction many times. Throughout this book readers will feel like they are listening to a really good coach. Floyd won’t tell them what they want to hear. He’ll tell them what they need to hear. Just listen, follow his advice, and watch the improvement. The chapters include useful sub-headings that will help in finding the section desired for reading again later. It’s a good thing, too, because there’s no index. For anyone who knows Floyd’s personal history, and as he readily admits in this book, these insights didn’t come easily to him. That makes his recommendations easier to accept. The Cape golf team’s late season performance raised them to fourth in the state rankings this week. The Vikings’ second place finish in the Henlopen Conference tournament helped them jump six spots, just below Dover, Salesianum, and Archmere. The team next plays in the state tournament June 1-2.